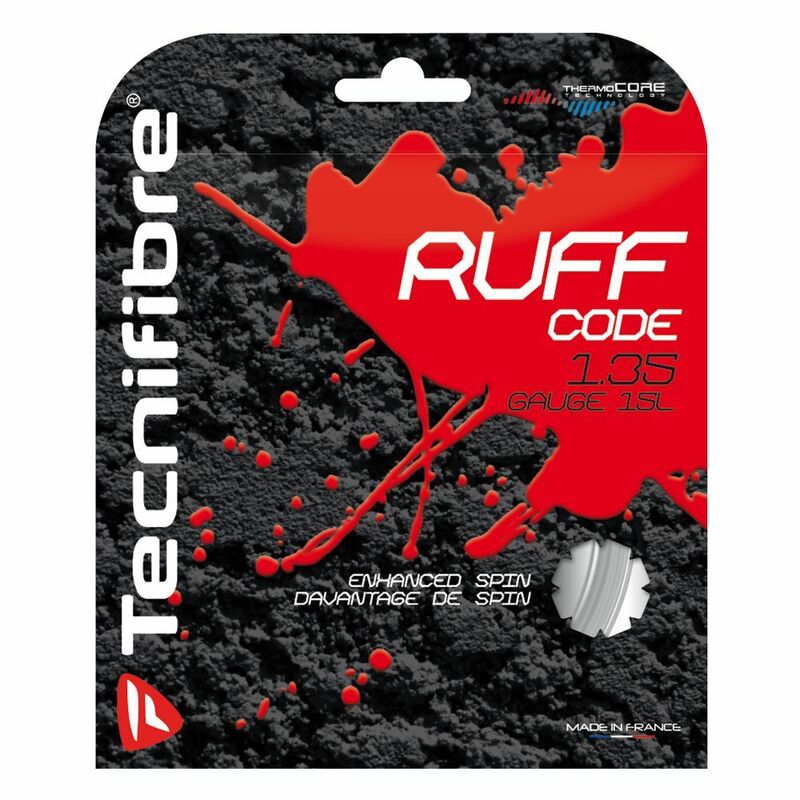 The Tecnifibre Ruff Code 1.35 tennis string has textured surface for excellent spin and Biphase technology (pre-stretching for 10% better tension maintenance). The special Thermocore production process results in softer feeling and vibration reduction. The string has a gauge of 1.35mm and is supplied in a set for one re-stringing. for submitting product review about Tecnifibre Ruff Code 1.35 Tennis String Set.